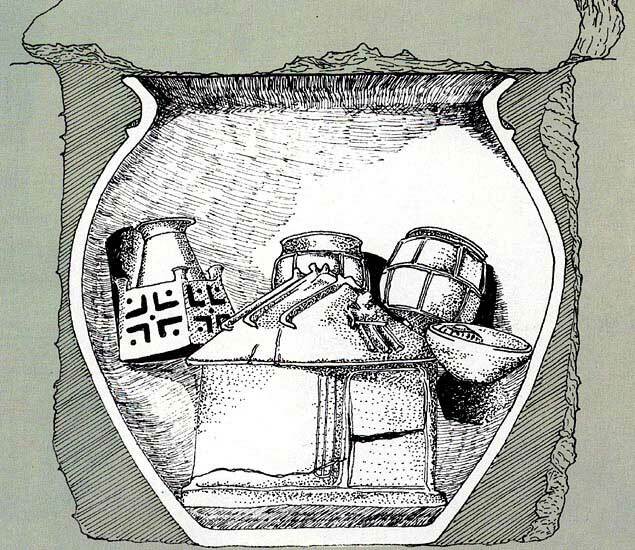 Reconstruction of a cremation tomb. Late 9th — early 8th centuries BCE. © Photo, text: GIOVANNI D’ANNA “LEGGENDE E TRADIZIONI DELL’ANTICA ROMA”, ARCHEO, N. 31, p. 59. © Istituto Geografico De Agostini S.p.A. — Novara.